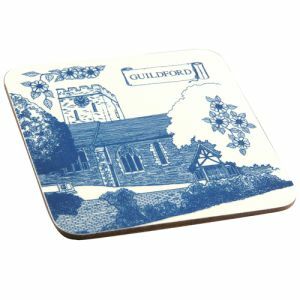 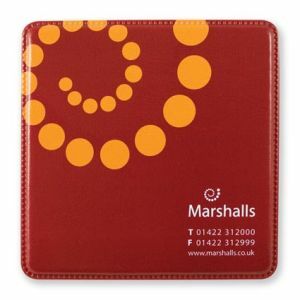 Branded coasters and printed beer mats protect desks and tables from hot mugs and dripping glasses, all while giving office mugs or water bottles a ‘home’ on the desk. 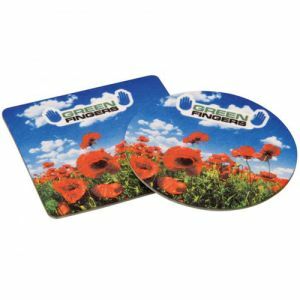 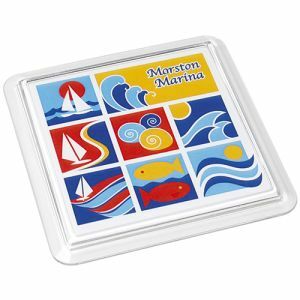 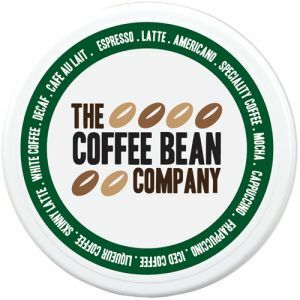 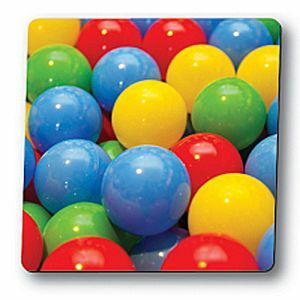 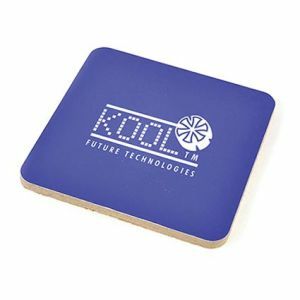 Promotional coasters are a fantastic way to easily and cheaply get your company logo on every desk. 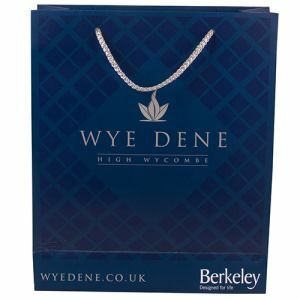 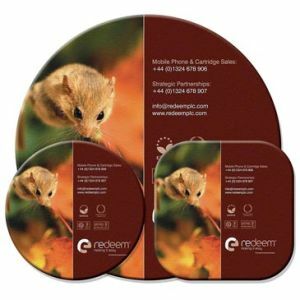 They are simple to send via post or hand out at events and tradeshows, each with a clear guaranteed use that will keep your marketing campaign on prime display long after your event has passed. 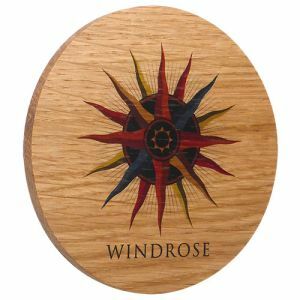 For high-quality settings such as management desks, boardrooms and conference rooms we even have executive coasters. 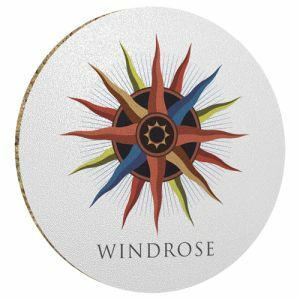 Branded wood, glass or slate coasters will keep expensive boardroom tables free from rings and damage, and share your company details with not only your client but their customers and stakeholders too. 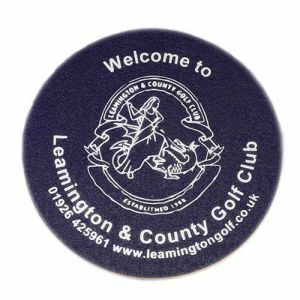 Originating in the 19th century as pieces of fabric to cover pints of beer to keep out bugs and dirt, once a printing company started to make cardboard “beer mats” emblazoned with their own name, it didn’t take long for others to see the marketing opportunities in these little printed drink mats. 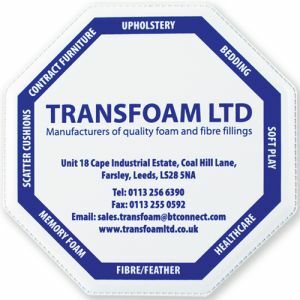 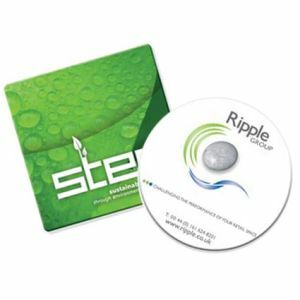 For the tightest of budgets, our Wax Backed Tissue Coasters are available at some of the best prices in the industry. 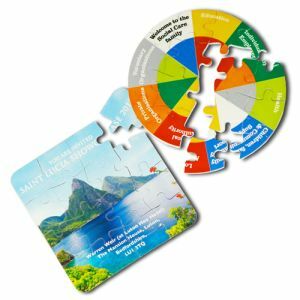 Perfect for all businesses related to hospitality or catering, or even just as low-cost giveaways for marketing campaigns that want to stretch their budget a bit further. 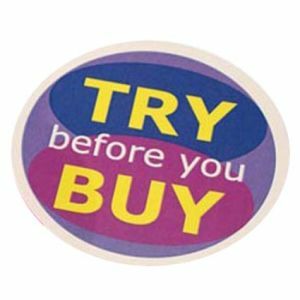 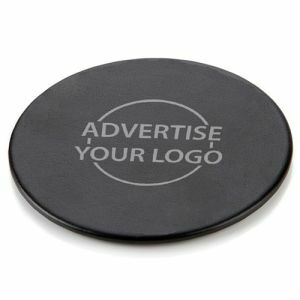 Alternatively, for low prices but greater durability, our tried and tested customer favourite Brite Mat Coasters boast a hardwearing finish for maximising the advertising life of your brand. 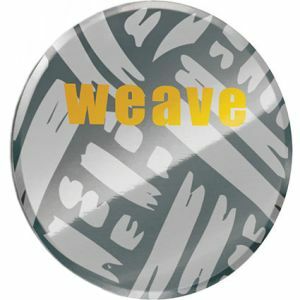 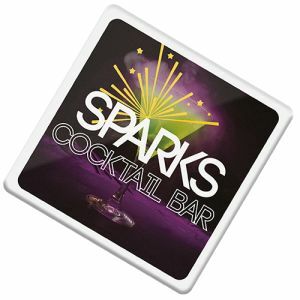 They are even made using recycled materials to help promote your company logo in an eco-friendly light. 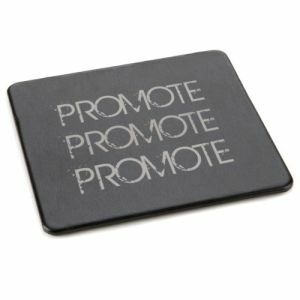 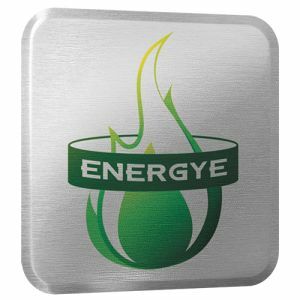 These branded coasters, like our Hardtop Coasters, are also available with matching mouse mats, perfect as promotional gift sets and fully customised work environments. 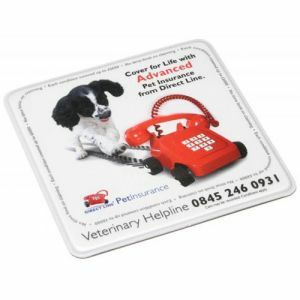 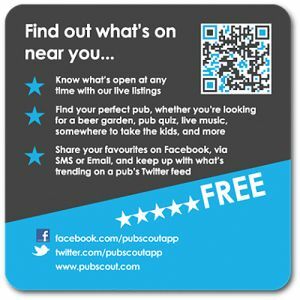 Here at Total Merchandise, we have placemats and custom printed coasters suitable for all industries. 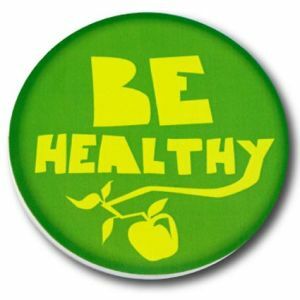 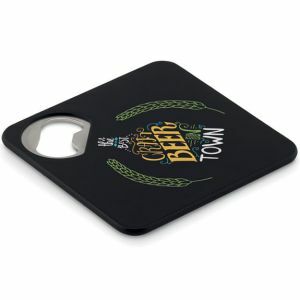 From glass coasters to the popular classic branded Beer Mat, made from 85% recycled, 100% recyclable wood-pulp fibre board. 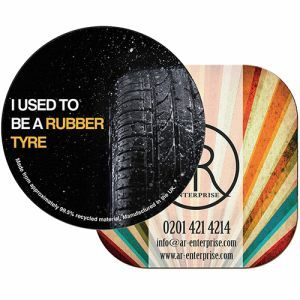 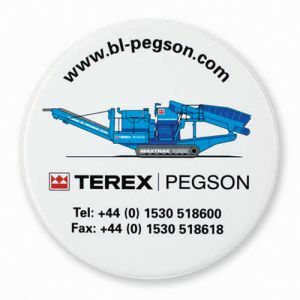 For corporations who want to be ‘green’, or those in the business of logistics and the motor trade, we even have Recycled Tyre Coasters ready for printing with your logo. 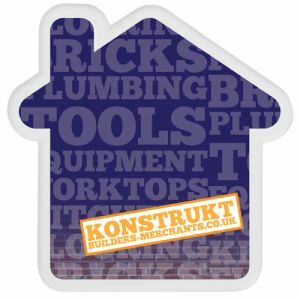 We have something for every budget and customer. 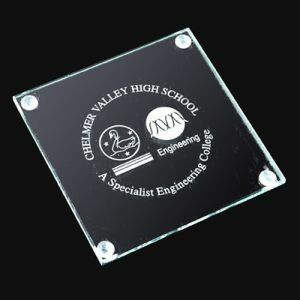 Engrave or customise in up to full colour print onto all kinds of substrate to suit shops, cafes, pubs, clubs, bars or even households and corporate office settings. 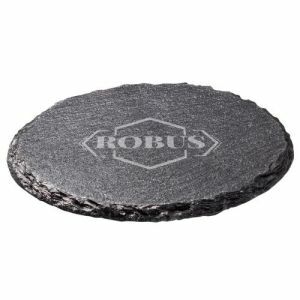 Our branded coasters made from black slate offer a stylish yet classy finish at very reasonable prices. 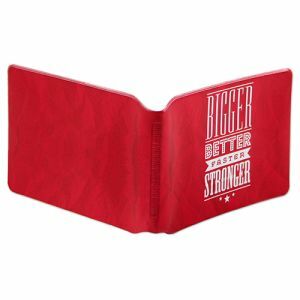 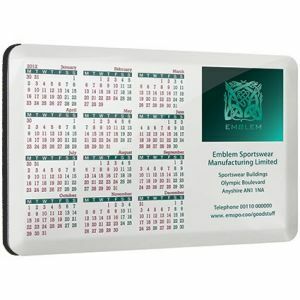 Engraved with your company logo complete with a protective coating to guard against water stains for increased longevity. 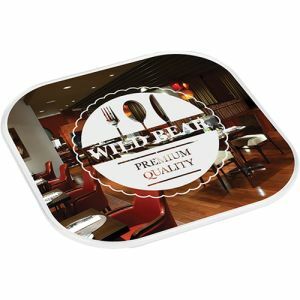 Or for smaller, yet no less prestigious businesses, our leather look Darwin Coasters and Real Wood Coasters are available from as little as 25 units. 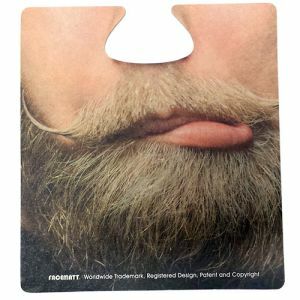 Any of these options would flaunt your business name handsomely from any executive’s desk or give a more quality feel to a reception area or office. 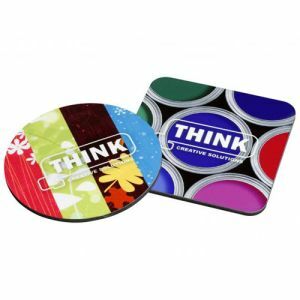 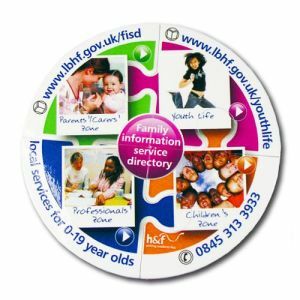 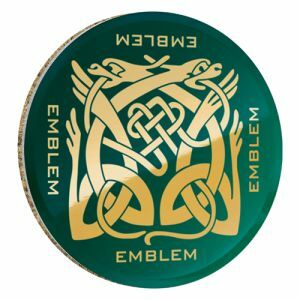 Our promotional coasters come in all shapes and sizes from the standard round and square to octagonal, house or heart-shaped designs. 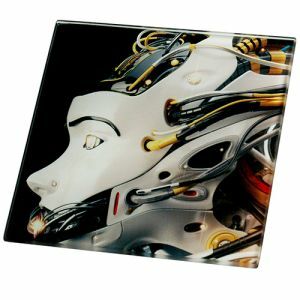 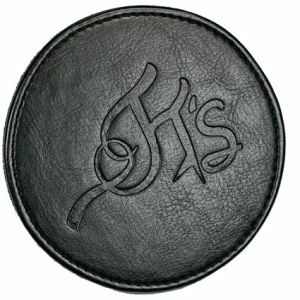 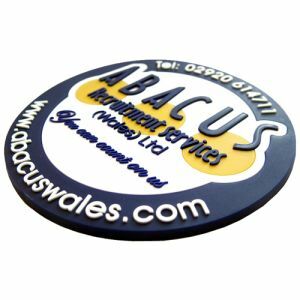 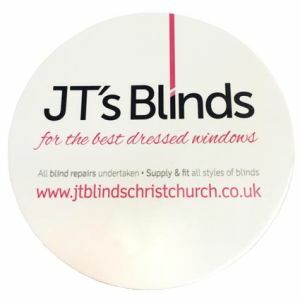 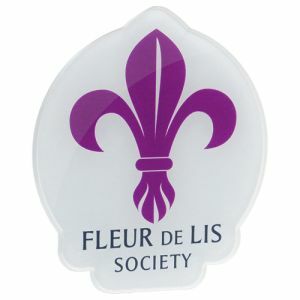 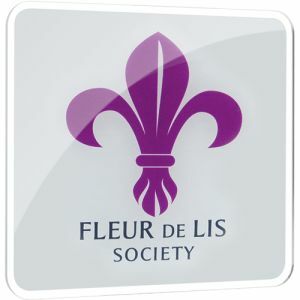 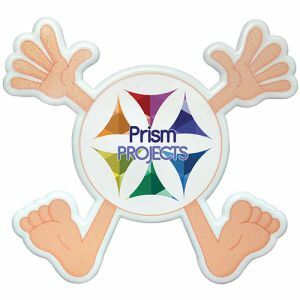 However, if you’re after custom printed coasters that are a bit more unique in shape, Acrylic Coasters can be made in any shape you like in around a week, complete with a logo printed in up to full colour. 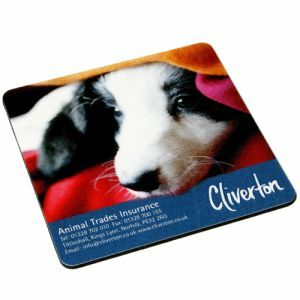 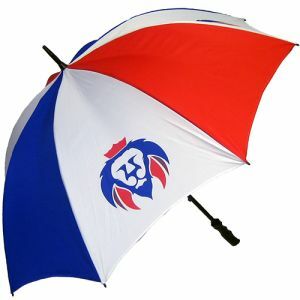 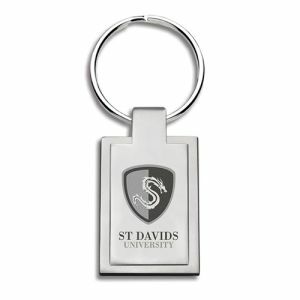 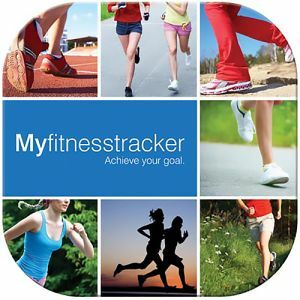 A great way to achieve promotional merchandise at great value prices that are completely bespoke. 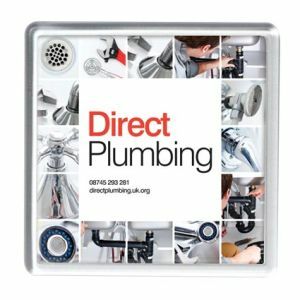 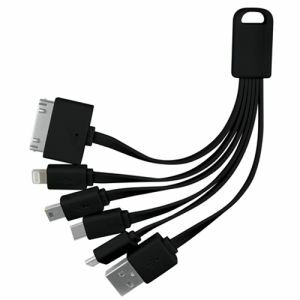 All this is available from a minimum order quantity of just 50 units, so you don’t need a big run to get something completely unique to your business in front of your customers. 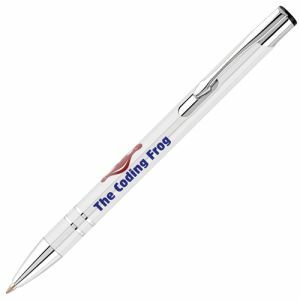 We have something for even the tightest of deadlines. 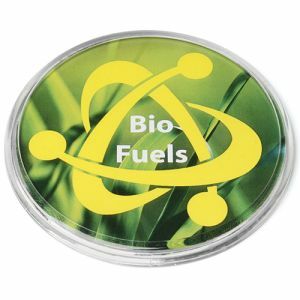 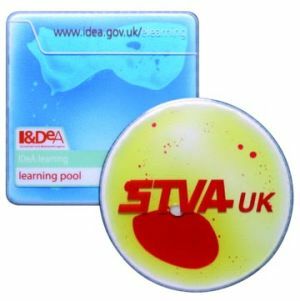 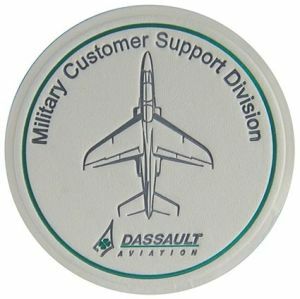 Our express Ultimat Plastic Coasters can be dispatched in as little as 72 hours printed with your corporate design in eye-catching full colour. 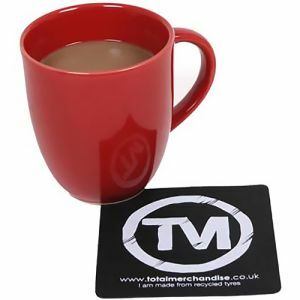 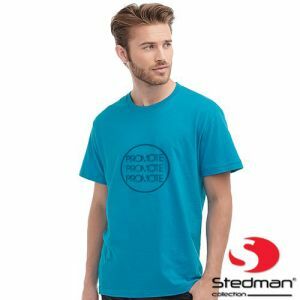 So even if you’re short of time, get in touch with the Total Merchandise team and we’ll do everything we can to make your promotional campaign a success.